An exciting item on my 101 list is #32 – visit 3 states I’ve never visited. Side note – I hope to make it to all 50 states. Anyway, us youth staffers headed up to the Princeton Forum conference at Princeton Theological Seminary. Although I’ve been to New Jersey before, I’ve never been to Pennsylvania. And although our trip wasn’t there, I think enough time was spent there for it to count. We flew into Philadelphia, got the rental car, and stopped for lunch at the Memphis Taproom. It was delicious and a really cool, hometown atmosphere. A couple nights later we drove to an adorable little town – New Hope, PA. We parked, walked through, and ended up walking back over the Delaware River to Lambertville, NJ. 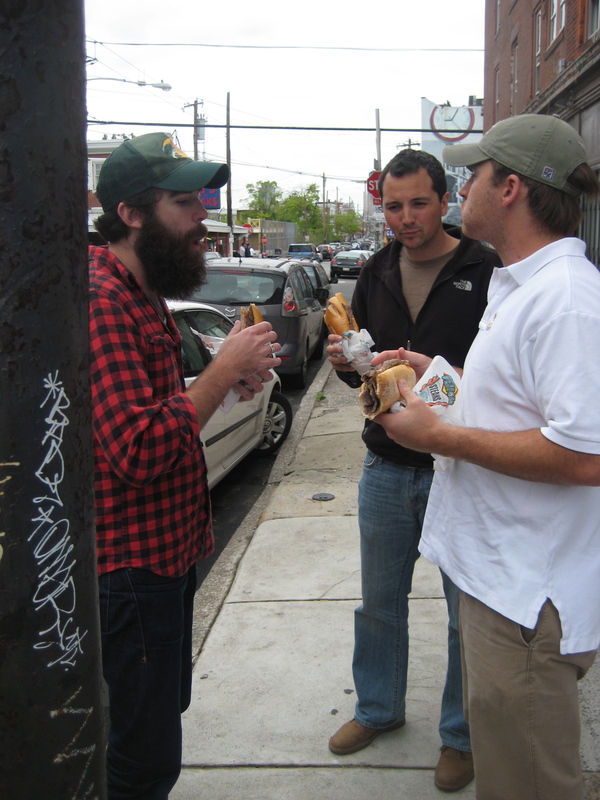 On our way back to the airport, we stopped for some original Philly cheesesteaks. And they were awesome. All this to say, our couple little ventures in PA totally count as another state. 2 down, 1 to go! Categories: Fabulous Friday | Tags: 101 in 1001, Pennsylvania, travel | Permalink.